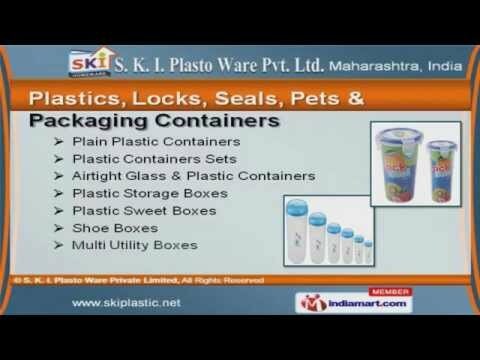 Welcome to S. K. I. Plasto Ware Private Limited. Manufacturer & Exporter of Plastic Based Daily Utility Products. The Company was established in the year 2006, at thane. Our State-of-the-art infrastructure & stringent quality checks make us stand apart from also-rans. Bharti Wal Mart Pvt. Ltd. & HUL India are some of our esteemed clients and we are supported by convenient payment modes & Competitive prices Our product list covers Plastics, Locks, Seals, Pets & Packaging Containers. We offer Airtight Glass & Plastic Containers that are in huge demand across the global markets. Serving Trays & Microwave Safe Utensils offered by us are cost effective. Our Insulated Water Bottles & Zip Soft Lunch Boxes are widely acclaimed in the market. We also provide Bathroom Mates & Cleaning Accessories that are best in the industry amongst others. Along with that we offer Fridge Mates, Pencil Boxes & Water Bottles that are a class apart.